This purchase should be at the top of the Order Status list that appears on the next screen. Connect the Nook to the computer’s USB port. You should have received a USB cable when you purchased the Nook. 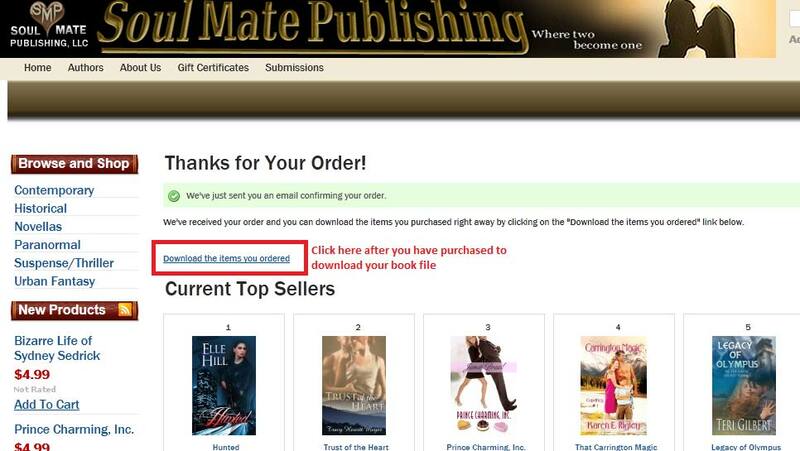 Click on the .epub file to download the ebook to a Nook. 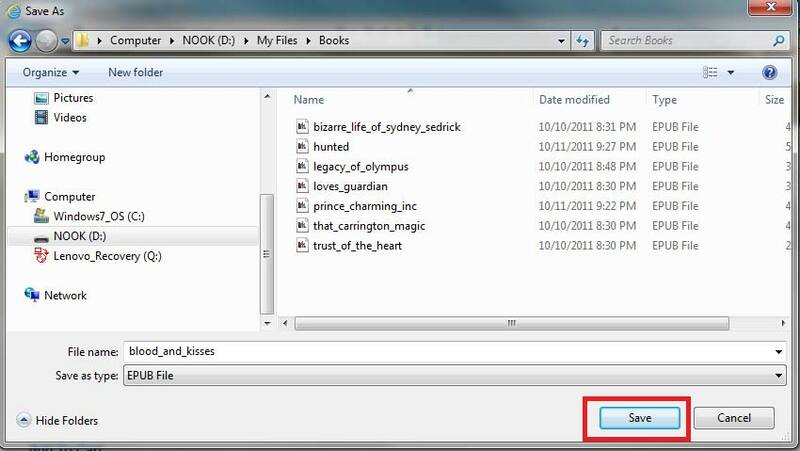 Now navigate to the "Books" directory/folder for the Nook on the next page that pops up. 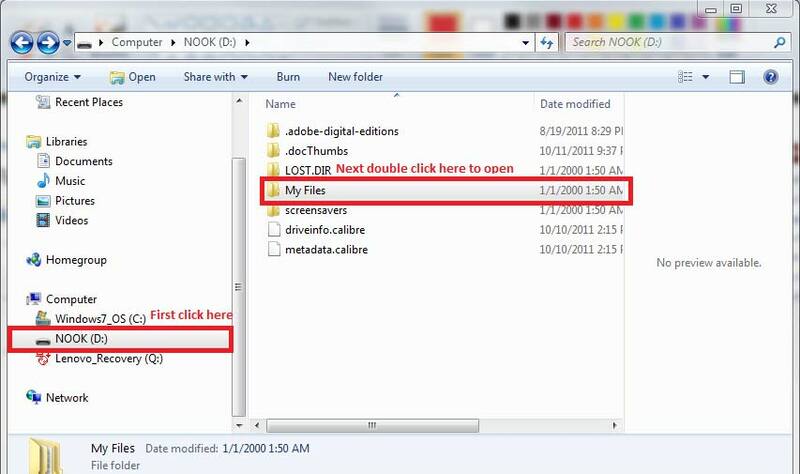 You will find the "Books" folder under the "My Files" folder. 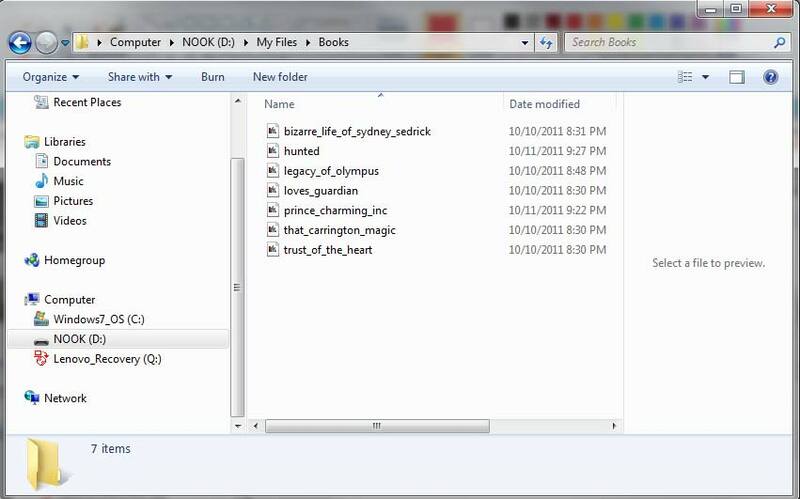 You should now end up with the Books directory on the Nook open and ready to receive the file. 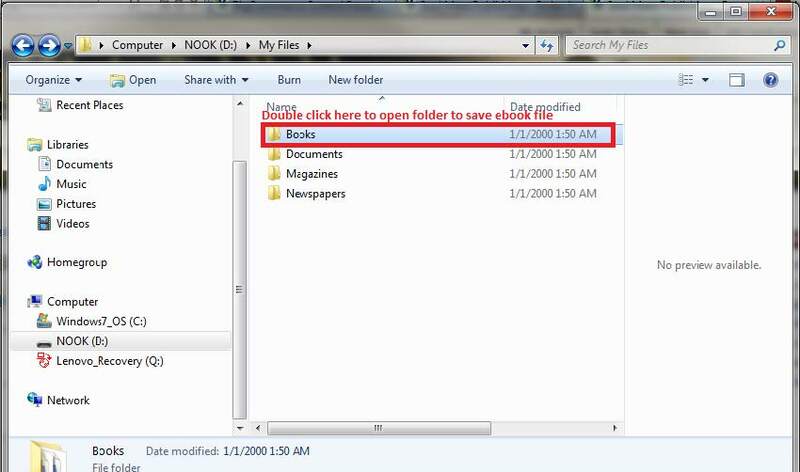 Then just click on Save to download the book file directly into the Nook. When you disconnect the Nook, the machine will automatically recognize the new book. The best way to disconnect the Nook is to Eject it using the same procedure as when you eject a USB drive.